Hello everyone! 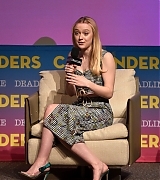 Dakota attended The Contenders Emmys presented by Deadline Hollywood yesterday (April 15), to promote her show The Alienist. She posed outside for some pictures, before she held a presentation of the show with Dominic Patten, Jakob Verbruggen and Daniel Bruhl. Our gallery has been updated with high quality photos! Dakota talked to GoldDerby recently about The Alienist. You can watch the interview below. 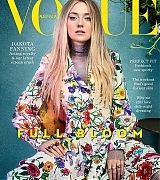 Dakota talked to The Los Angeles Times about The Alienist! This interview is a part of their Envelope series of Emmy Contenders – this is good news for the upcoming awards season! I’m sure you’ll all enjoy watching this video, as Dakota shares a bit of insight into her decision to join the show and what playing Sara Howard felt like. 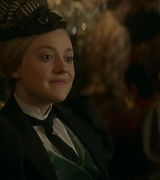 Our gallery has finally been updated with screen captures from episodes 03, 04 and 05 of The Alienist! Have you guys been watching the show? I’m loving it! 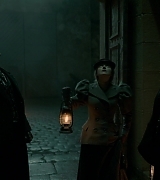 I plan on adding screen captures of episode 6 whenever I add episode 7, which airs tomorrow on TNT! 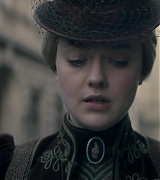 Our gallery has been updated with screen captures from the 1st and 2nd episodes of The Alienist!